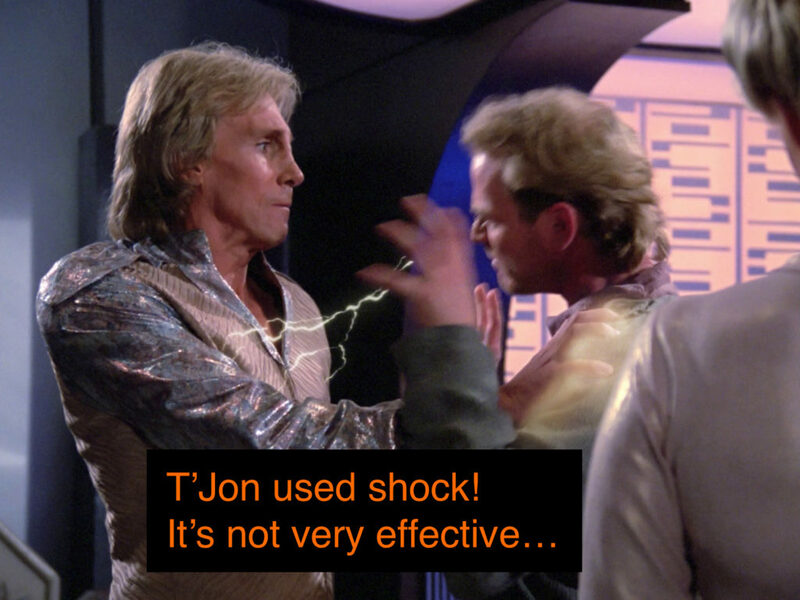 Jeremiah joins us this week to talk about S1E21: Symbiosis, the episode where they go to Pokemon Planet and it turns out everyone is electric type. 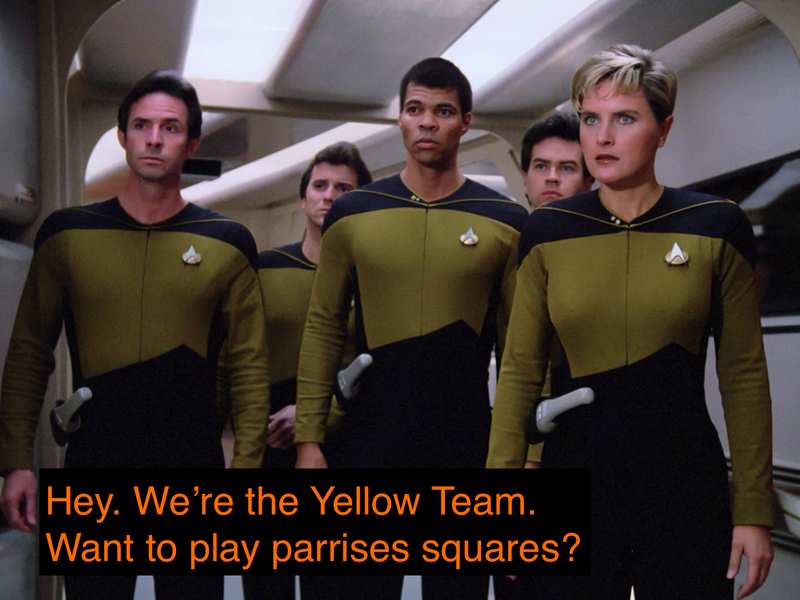 The crew of the Enterprise doesn’t have any ground type Pokemon, so it turns into a pretty long talking episode. While each of us had some parts we really didn’t like, we still decided that it was worth a watch. So, watch it, and join us next week for our discussion! 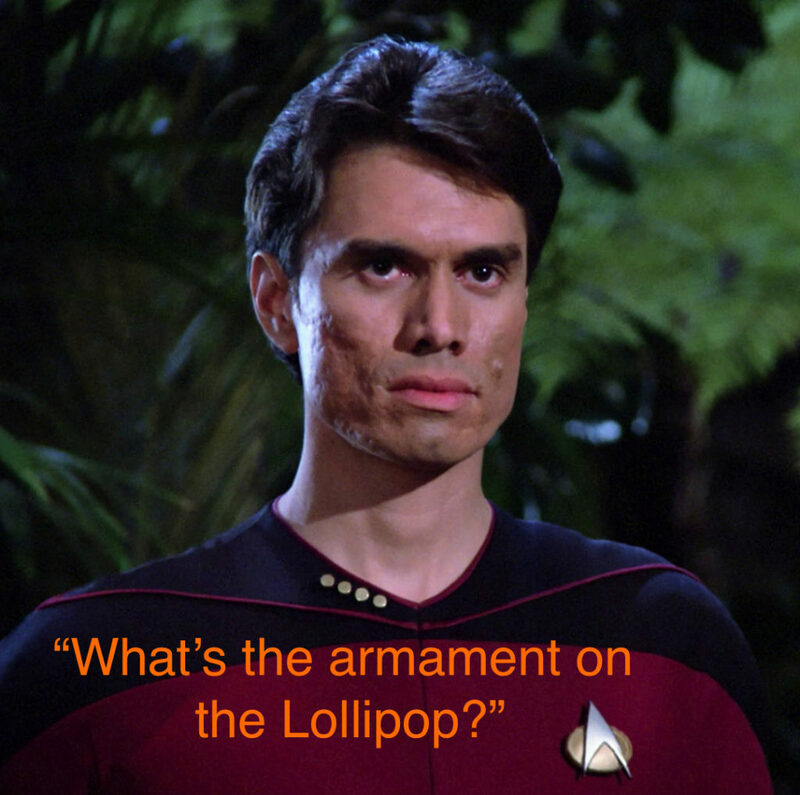 This week Patrick joins us on the show to talk about S1E20: The Arsenal of Freedom. Hint: if you get trapped on a weird planet where strange automated weapons are attacking you and a salesman says it’s all a demo of the product and would you like to buy some, just say you’ll buy some. Next week we talk about The Arsenal of Freedom with special guest Patrick. We watched it, but you don’t have to. 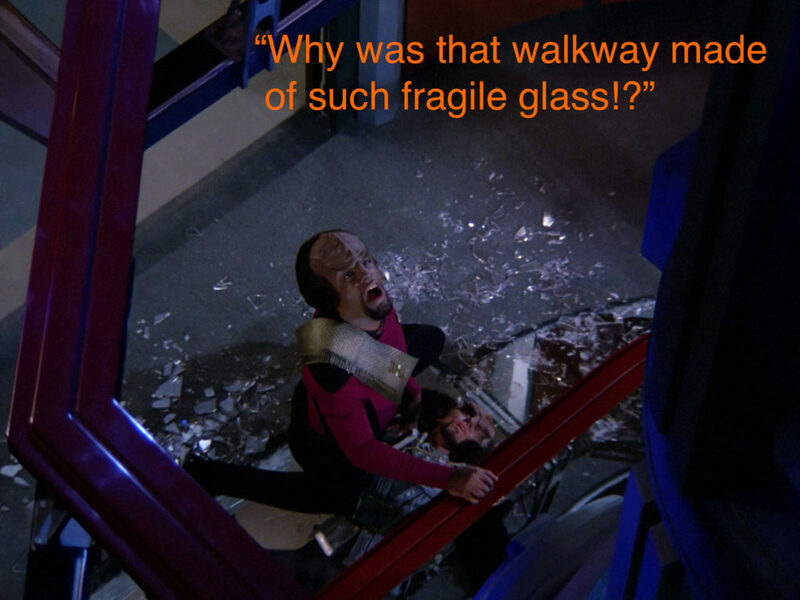 Oslec joins us on the show this week to talk about an episode all about Worf and Klingons. It’s full of all the Klingon backstory we have yet to see in this series, and it’s a great start to understanding how the cultures of the galaxy fit together in TNG. Next week on the show we’ll be talking about a pretty decent episode, S1E19: Heart of Glory. Oslec is back with us and we have a pretty fun talking about everything Klingon. Watch it, then join us! Join us. JOIN US. This week, join us as we watch and discuss S1E18: Coming of Age, with special guest and resident space expert, Andrew. 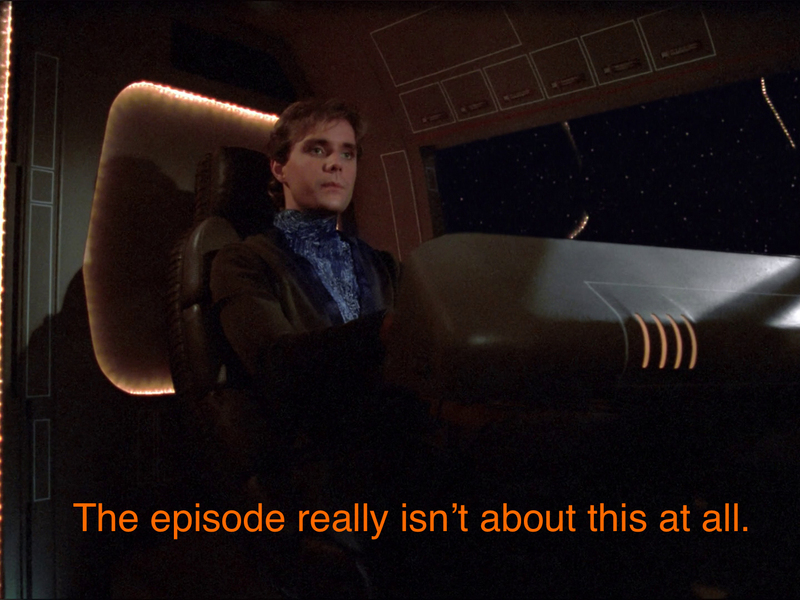 Wes goes to space school, some weird foreshadowing happens on the Enterprise, and at least half of the episode is at all memorable. 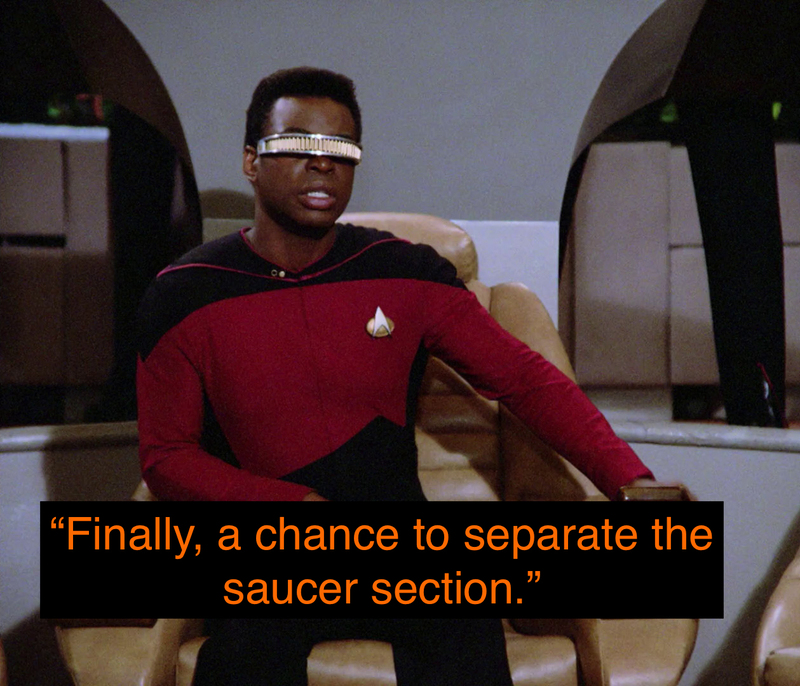 Next week on the podcast Andrew joins us to talk about that episode where Wes goes to space camp. It’s a pretty decent episode in a lot of ways, and we have a lot of fun with it. Watch it, then join us next week for S1E18: Coming of Age. This week on the podcast Jacob joins us to talk about the episode Home Soil. There are some interesting ideas in this one, even if their execution is sometimes a little rough. Also, Data dodges lasers. 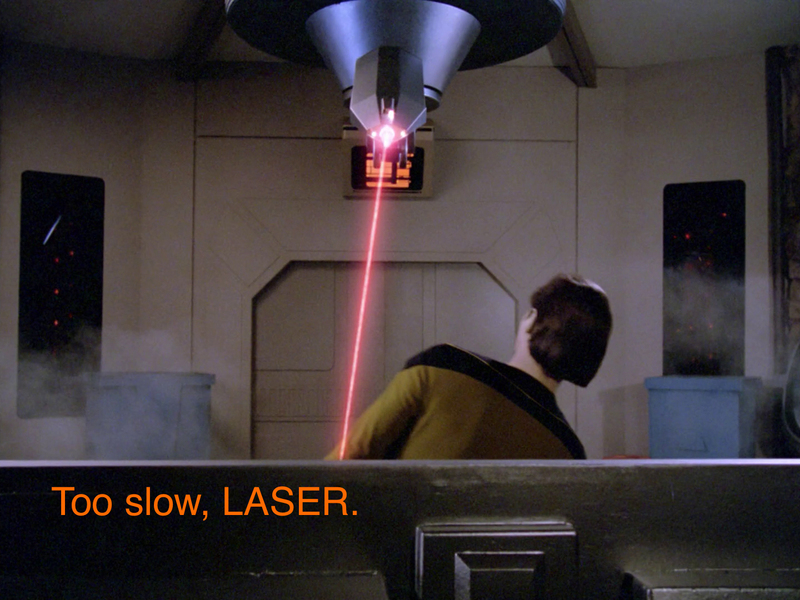 In TNG, the ‘L’ in laser still stands for ‘light’ right? 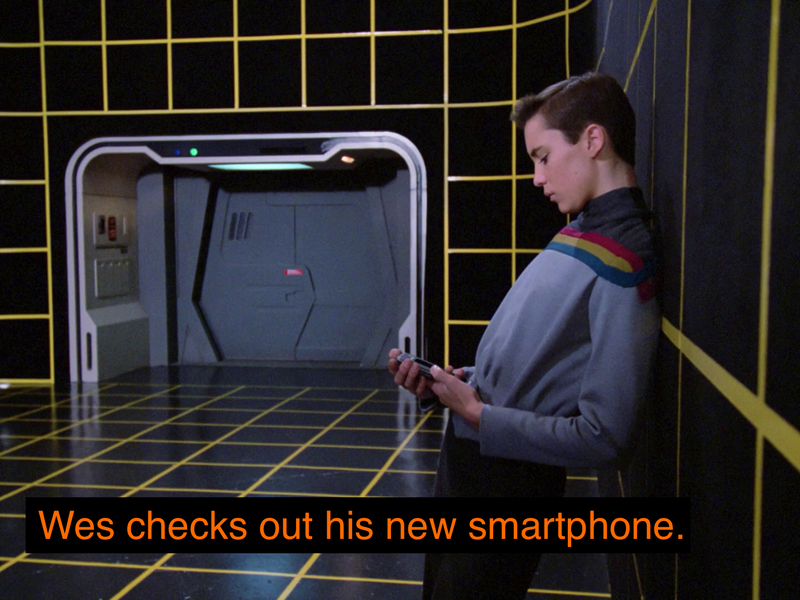 Well, Data moves faster than that. 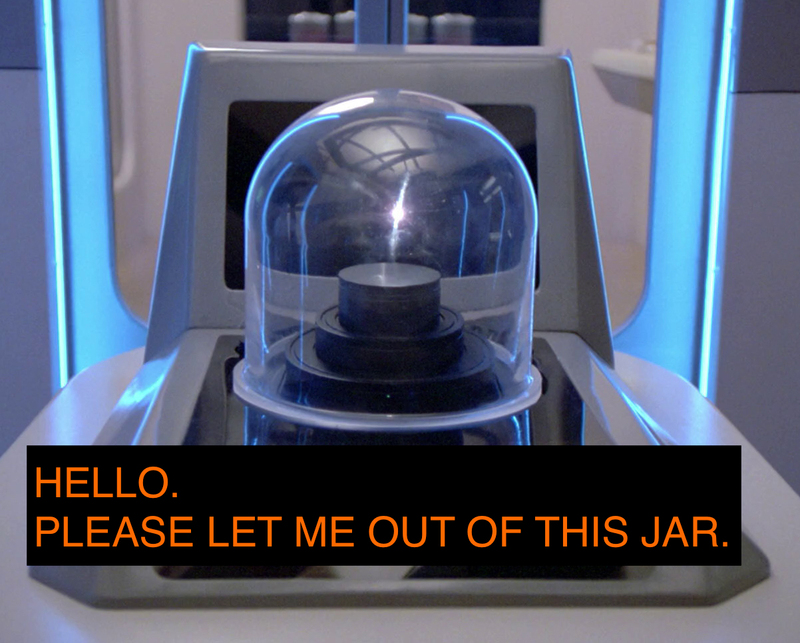 Jacob rejoins us this week to talk about S1E17: Home Soil, an episode where some terraformers change their story pretty frequently. While it’s not an amazing episode it’s not really a bad one either – join us next week while we discuss it!